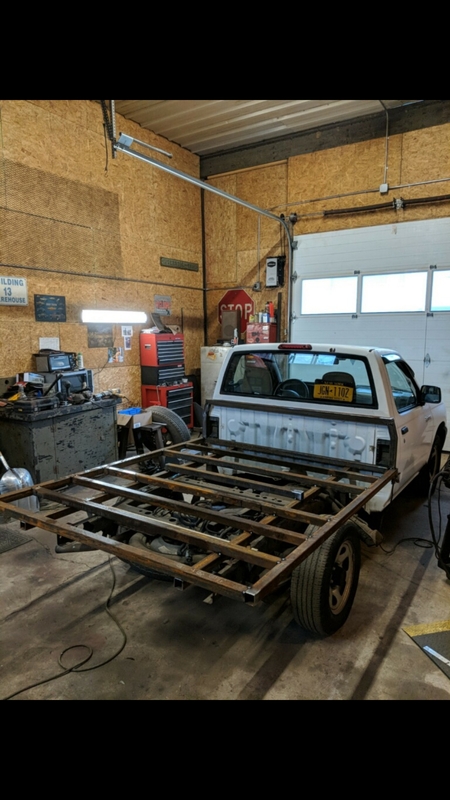 Ditched the dented rusty bed to build a flat bed. Going the lowered mini truck way like we did back once upon a time. Here is the mock up. E.J. and E.J. like this. Looks good so far. Can't wait to see where this build goes. Is that a diesel Miata in your avatar?!? I was about to say the lowered flatbed looks good but I want to know about that Miata. 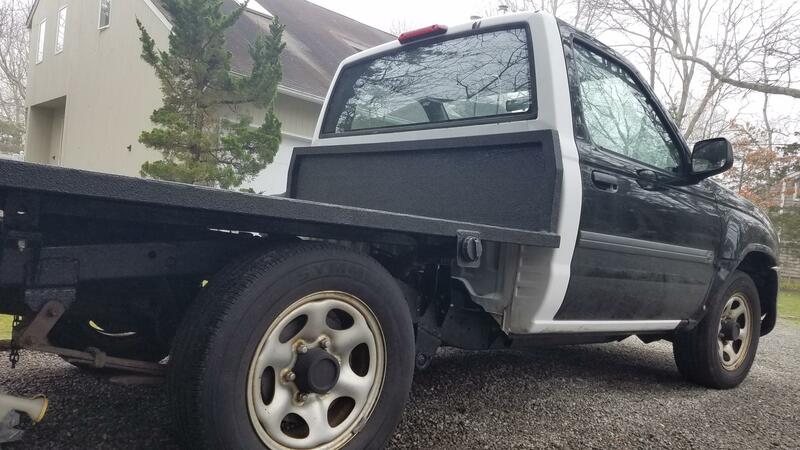 On the Nissan, yes going to lower and rake it mini truck style. 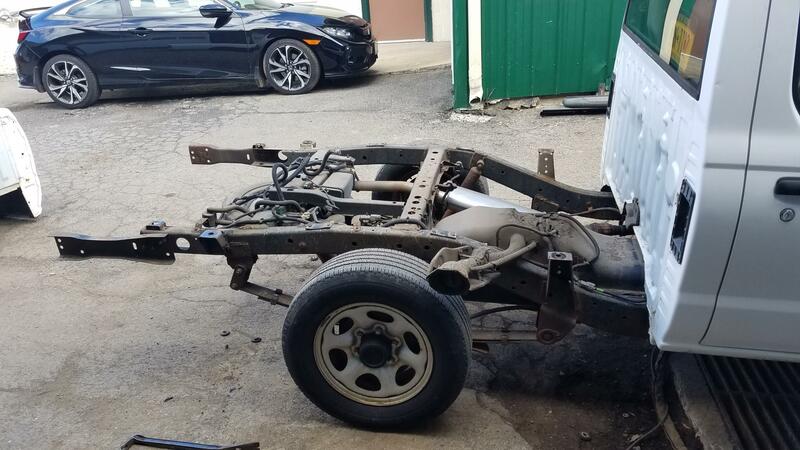 What's the weight of the flat-bed frame vs the OEM bed? Not actual weight, but does it already feel heavier/lighter? Are you going with wood top? Going all metal, smooth top. I think it will turn out lighter than with the bed. I'll see how it feels when I get it on the road in a few days and let everyone know. 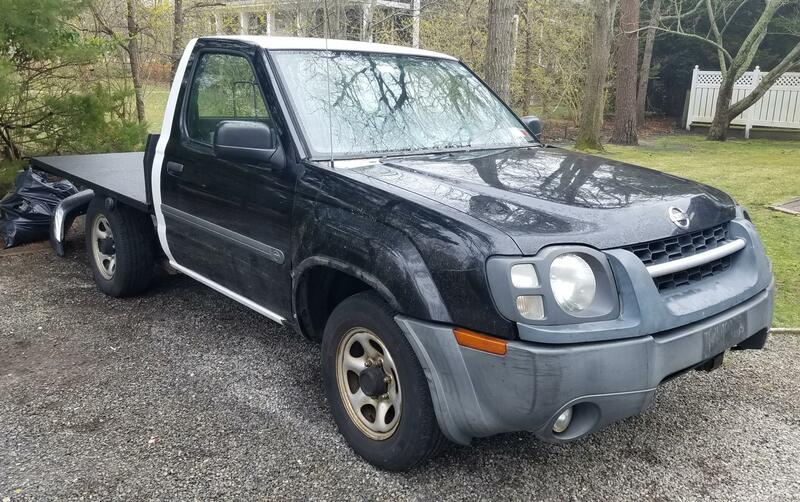 Picked up a 2004 Xterra for a nose swap today.